The workshop will take place on April 25th, a very special date for the Portuguese people - the 41st Anniversary of Portugal's Carnation Revolution. Special dates and celebrations are wonderful opportunities for a sketcher to capture the essence of a city. All the streets will be decorated in special ways, but the thing that best characterizes the event, and tells the most interesting stories, will be of course the people - marching, singing, laughing, shouting, eating, drinking - celebrating their freedom! Drawing people has always interested artists the most and been considered to be the hardest to do. 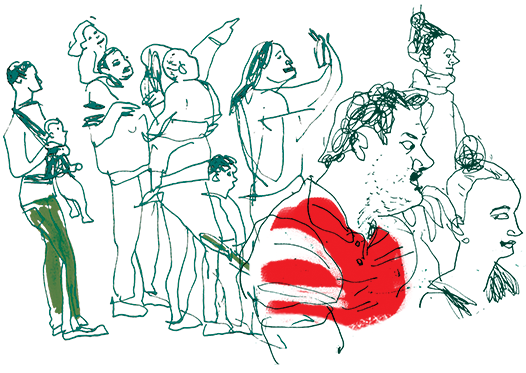 Drawing people in their natural surroundings, moving, interacting, is even more challenging. 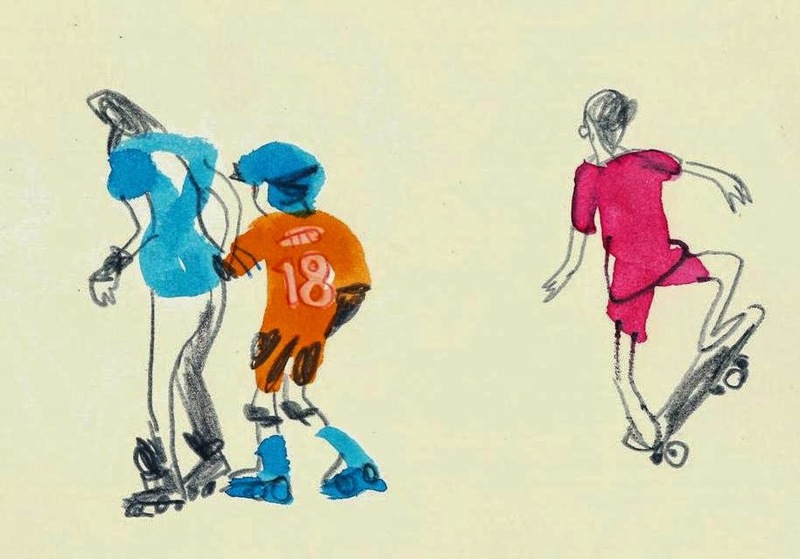 People change their postures all the time, often leaving in the middle of a sketch. The workshop will help the participants to overcome the fear of sketching people, and to discover fun and expressive ways of capturing the city's inhabitants in action, caught up in their daily routines. We will try to show in our sketches the city through its main heroes – people! In two sessions through the all day (6 hours) workshop we will try to give participants the skills to approach people-sketching and urban storytelling with confidence. The workshop will include three exercises, each of them will begin with a discussion and quick demonstration of possible approaches. A series of fast sketches studying people’s faces through their emotions. A series of fast sketches capturing the figure in action, the body language. Longer sketch of people in their surroundings. Small sketchbook with cheap paper for the two first exercises. Bigger sketchbook with quality paper for the last exercise. Your favorite tools for the last exercise. Payment can be via internet transfer or PayPal. Marina Grechanik was born in Belorussia and graduated from an art academy in Minsk. She now lives in Israel and has been working as a freelance illustrator and graphic designer for the last 15 years. Marina regularly takes part in local art and illustration exhibitions and projects. Marina initiated the USk Israel group - regularly leading sketchcrawls and coordinating the Urban Sketchers Israel blog. She planned and instructed several urban sketching workshops for children and adults, amongst them “Urban Life” together with Ea Ejersbo at the USk symposium in Barcelona.